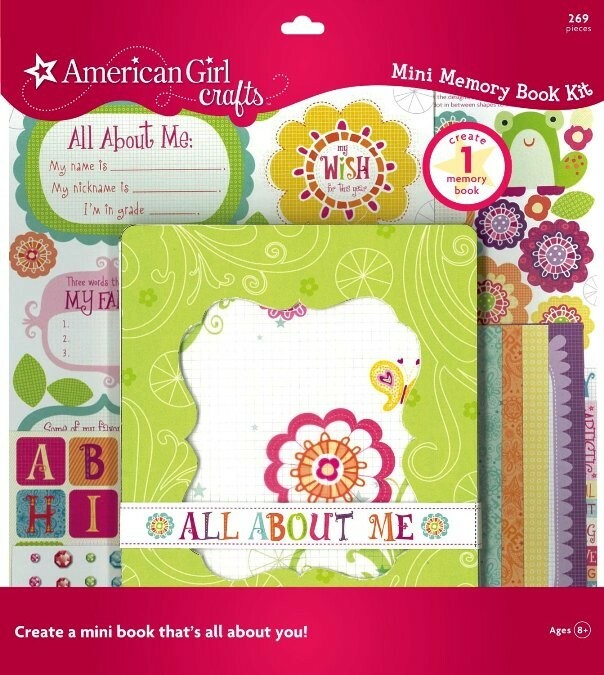 Create a mini memory book with a fun friendship theme using this kit from American Girl Crafts! 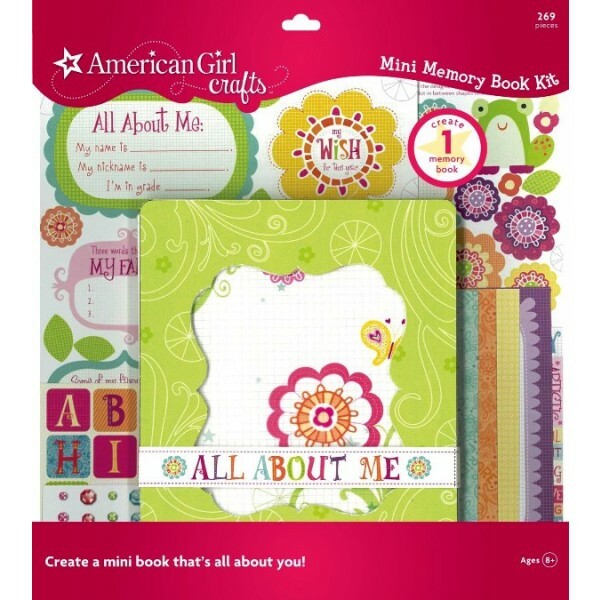 Each kit contains one chipboard memory book and assorted embellishments. The Friends memory book kit includes a lime green memory book with 4 clear page protectors and 6 double-sided cardstock pages, 10 mini pages, and over 100 stickers and embellishments and a variety of pop-out shapes. Stickers include phrases like "2 of a kind" that emphasize the value of the friendship you're celebrating!